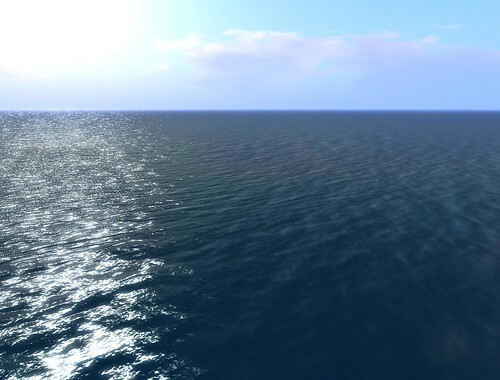 Lively was Google’s attempt in the creation of a browser based virtual world space (although there was still an application download) and will be closing on December 31st, 2008. Lively was an interesting product, but as designed its failure stems from it’s approach, Lively was built more as a 3D chatroom instead of a virtual world. Rooms were never connected to each other, there was never a sense of community or the ability to connect several rooms together in the creation of a larger space. Instead when filled a room became unorganized chaos as avatars would merge with one another. Lively also suffered from several difficulties, it’s movement system was mouse based (and unintuitive), keeping up with conversations through a bubble like interface was annoying, is lacked audio streaming but had video and image streaming, and there were not any integrated tools to create items inside of Lively (let alone share them). Lively’s approach of a virtual world is the wrong approach. It treated this space as an extension of a chatroom rather than the extension of the Internet. Where people could interact with one another not just through chat but through media. Lively was not the first virtual world of its kind and it will not be the last of its ilk to fall. I suspect other virtual worlds or flash based worlds will ultimately fail for many of the reasons Lively has. After five years of its release, I am always shocked when I have to describe Second Life to another person. I assumed with its massive coverage of mainstream media (who are quick to jump on any salacious scandalous material), many dedicated blogs and websites, and even a clear definition on the website, describing and defining Second Life would be an unnecessary chore. However, I’m wrong. When presented with the question “What is Second Life” I find myself juggling between three different components in trying to describe the platform as a whole: the technology, its capabilities and the purpose. The platform is very organic; I don’t believe a single definition focused on one aspect serves as a complete definition. Somewhere between these three areas is a clearer, understandable definition of Second Life.